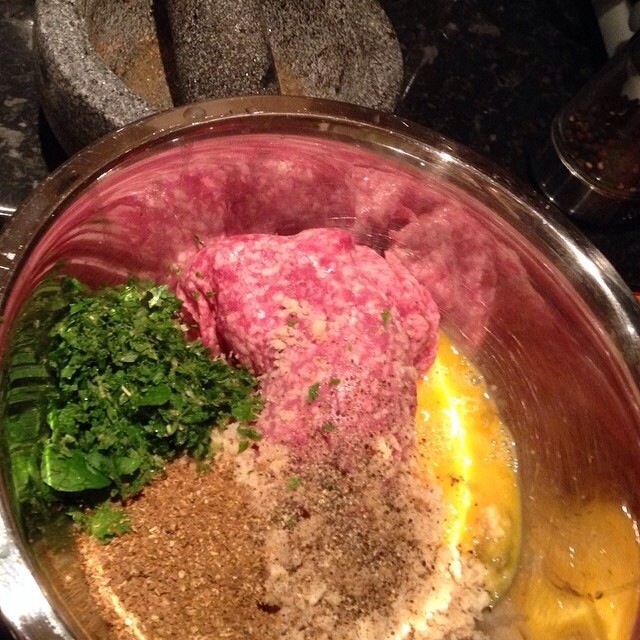 If you want a change from the usual way you cook meatballs, this flavoursome dish is absolutely delicious. With the spices you would usually find in a Tagine and served with a spiced up Harissa sauce and giant couscous. It is a real winner!! After mixing and seasoning all the ingredients together refrigerate for 1 hour or overnight, like I did. 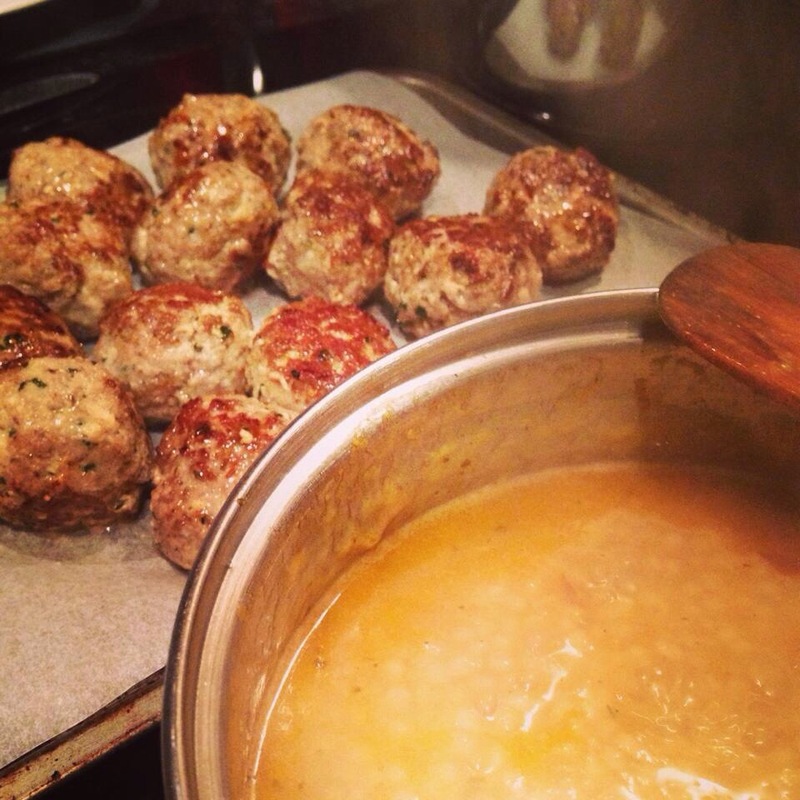 Fry the meatballs in a little oil to just seal them and finish them on a preheated oven while you get the couscous ready. 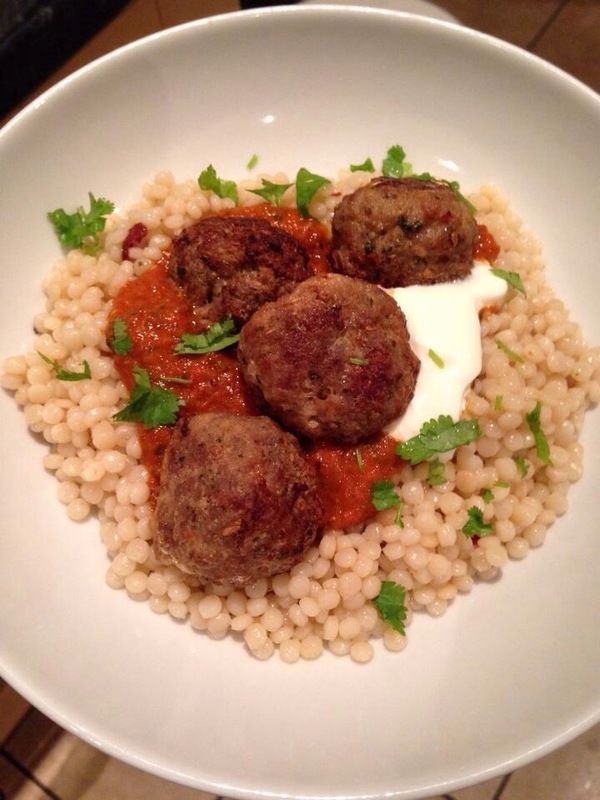 I served the meatballs with giant couscous and a basic homemade tomato sauce spiced up with Harissa paste, you can add as much or as little as you like. Because my kids don’t like their food too spicy I mixed half the sauce with the Harissa and left the other half plain. Add some plain yogurt with the spicy Harissa sauce if you find it to hot and some chopped mint or coriander to serve. This entry was posted in catering, cooking, food, health, home, home cooking, kitchen, nutrition and tagged couscous, food, lamb, meatball, morocco, tagine, world. Bookmark the permalink.